After working 8 years with a great company, my husband had reached the proverbial glass ceiling. It was time for a change. And guess what? I’m thrilled for his life upgrade! The offer included a pay raise and more importantly, the position Jason had worked towards for nearly 6 years in the first company. My dear hubby is now a crew leader, more commonly known as a foreman, in a great landscaping company. This new position brings changes for him, but also for me. The new job is a bit further away, so I’m adjusting to him arriving home a little later. I also need to figure out our new insurance, and figure out a different phone plan. 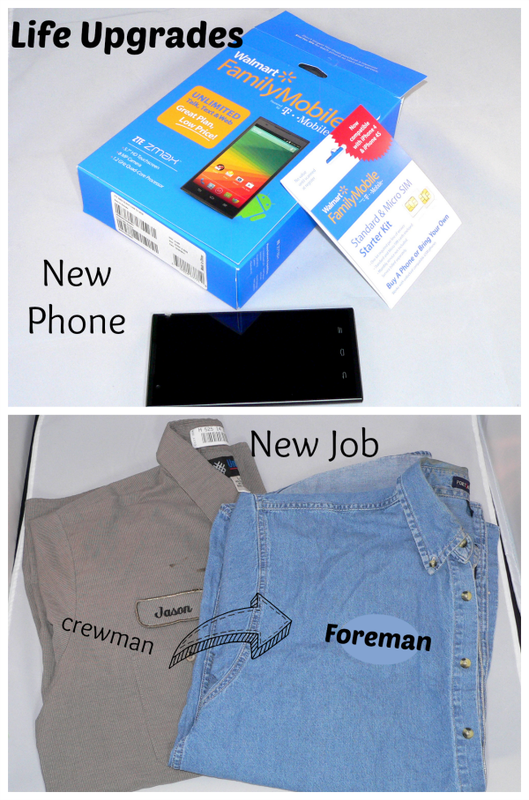 As foreman, Jason will have a company phone. Which is quite nice, because it gave me the little push I’ve been needing to quit paying $135 a month for our contracted cell service. His phone will be taken care of, but I need to find something more affordable for myself. 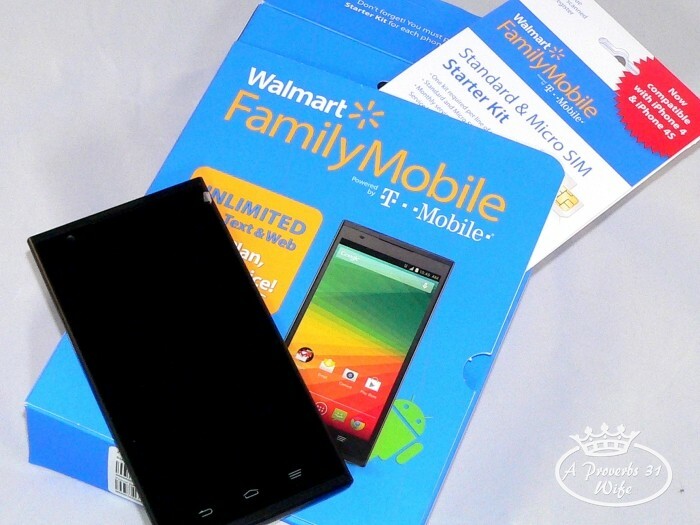 After reading about Walmart Family Mobile, I had to check it out. 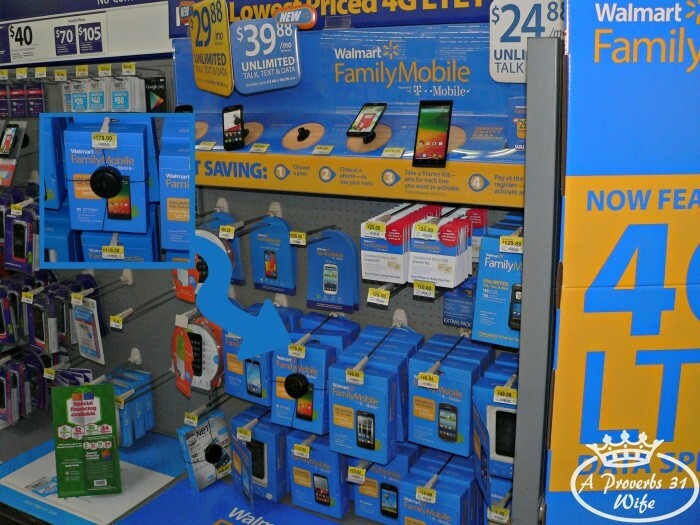 Why Walmart Family Mobile? Well…. if someone told you you could get unlimited talk, text and data, which includes up to 500MB of 4G LTE data for only $29.88 a month, wouldn’t you at least try it out? Absolutely! A second line is less than $25 a month, so I’m thinking I should’ve done this a long time ago for hubby too. ***Here’s a hint. If for some strange reason you decide to take photos of store displays, make sure no one is behind you. I wanted to capture the entire mobile center where my new phone was found. I knew it was a bit cramped in there, but I still thought I bumped into the display behind me a bit fast, when I backed up for a good shot. Totally unconcerned, I leaned against it while trying to get my camera to focus and get a good shot. As it turns out, the “display” was a cart pushed there by another customer and I hadn’t heard it; apparently there are quiet carts at Walmart. 😀 On the bright side, we both got a good laugh out of it! While Jason’s upgrade was his dream job, my life upgrade was a new phone. Pretty sad when I consider a new piece of technology a life upgrade right?! I went with that Phablet (totally pronounced FAB-Let) because it has a nice big 5.5″ screen. As a blogger who uses her phone for :::whispers::: “crazy stuff”, that big screen is amazing! Another reason, is the fact that many of my recipes are online. I either have my laptop sitting in scary positions in my kitchen, or I’m squinting, trying to read the recipe on my phone. Much larger than my old phone and not as bulky as my laptop. Yummy recipes? Now that’s a life upgrade in and of itself! It cost a one time $25 fee to start my service, and there is no contract, which means…. no crazy cut-off fee. Ever. 🙂 Instead, I get unlimited talk, text and web, with 500MB of 4G LTE internet. Guys… THAT’s fast! Why is the Timing Perfect? Okay, so clearly, I needed to do something different for phone service, but why is now such a great time for a life upgrade in the form of a cool new phone? Um, helloooo? tax return! In our home we have 7 ways (now 6 because #2 no longer applies) we use our tax refund. A new phone is something I needed (#5), something I wanted (#7), and it will actually help me save (#1)!!! This photo was taken with my new phone. I love how perfectly it captured his beautiful blue eyes. What is one thing you like to do with your tax return? 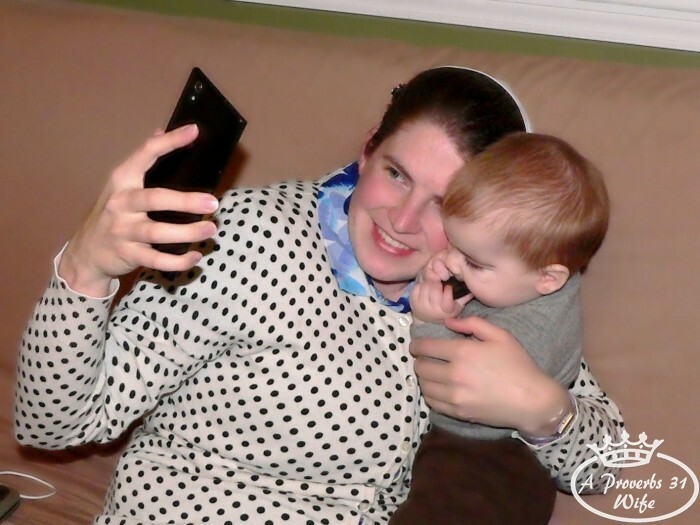 Congratulations on the new position—and new phone! 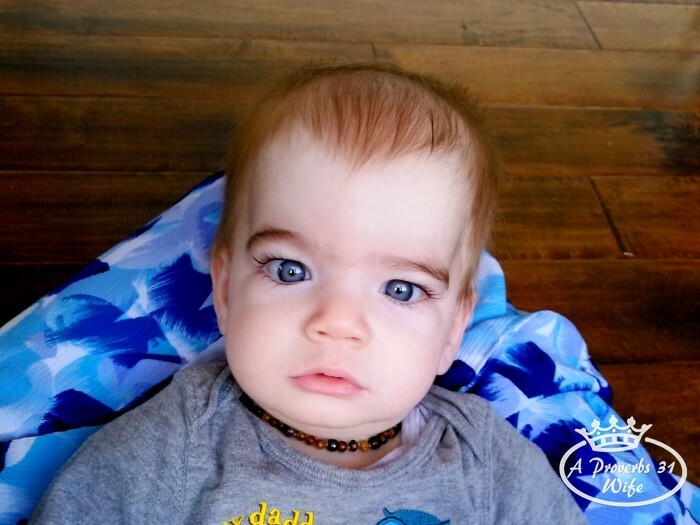 Your little guy is getting so big. 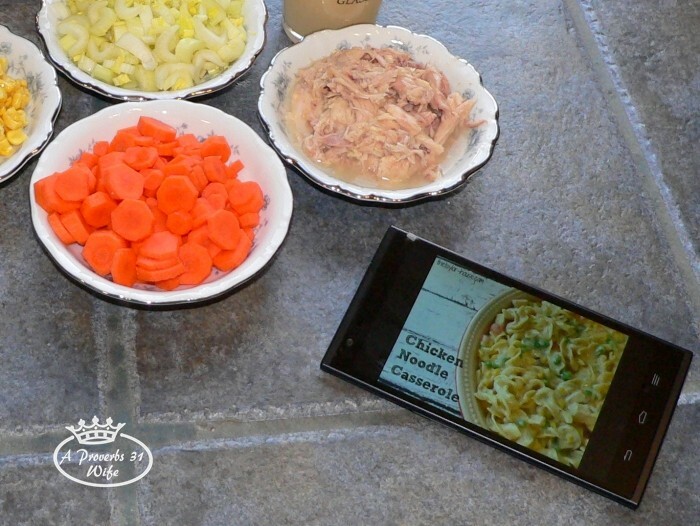 I love it that you can use this new phone more easily when reading recipes. I do that too! This is the first year we aren’t getting a nice tax refund because of changes in our family and job. However, we aren’t paying and that’s a blessing. Thank you for sharing your experience with the Wal Mart phone plan. We are looking into it since we pay way too much for our phone service. Thankfully, we all own our phones so it would just be signing up for the service. I appreciate your input today. Have a great week. Glad to help! So far I have been really pleased with the service, haven’t had any issues at all. In fact, the data map showed that I would only have 2g speeds at home and we actually have the 4g speeds!